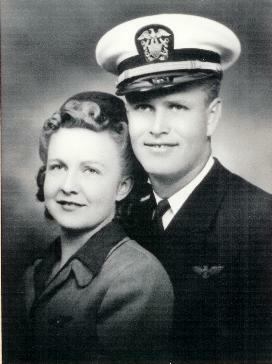 two aviators who made the ultimate sacrifice during the same wartime incident. 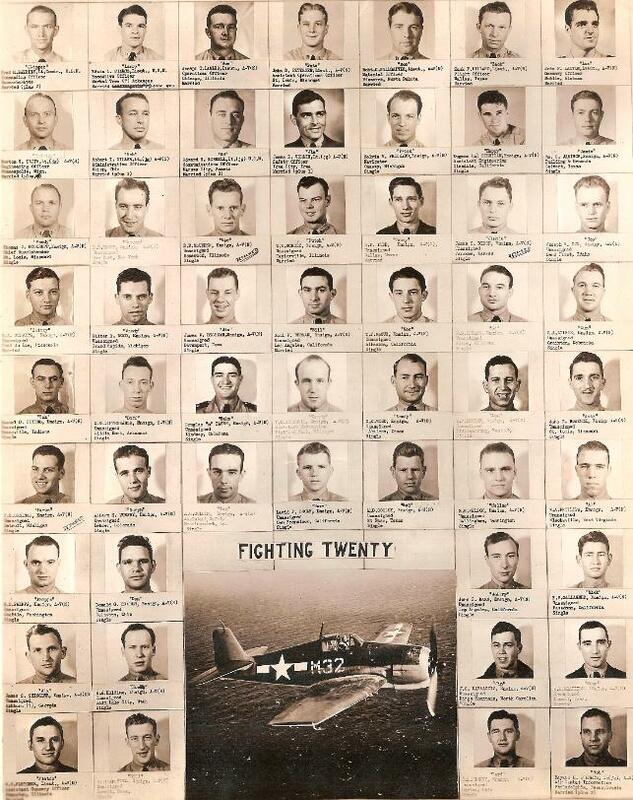 States Navy who served with dedication and distinction during WWII. Wilbur, I would enjoy hearing from you. 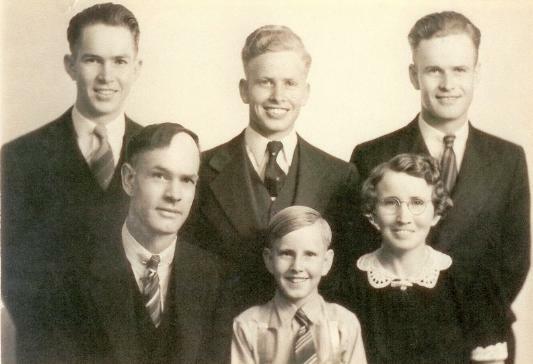 row of the family photo. support him in his endeavor. 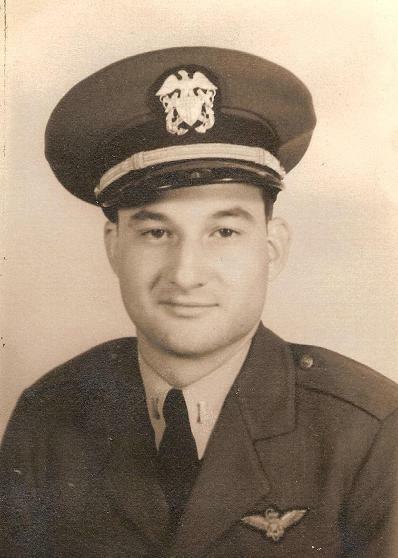 commanding officer, Navy Cross winner and ace, Cdr. 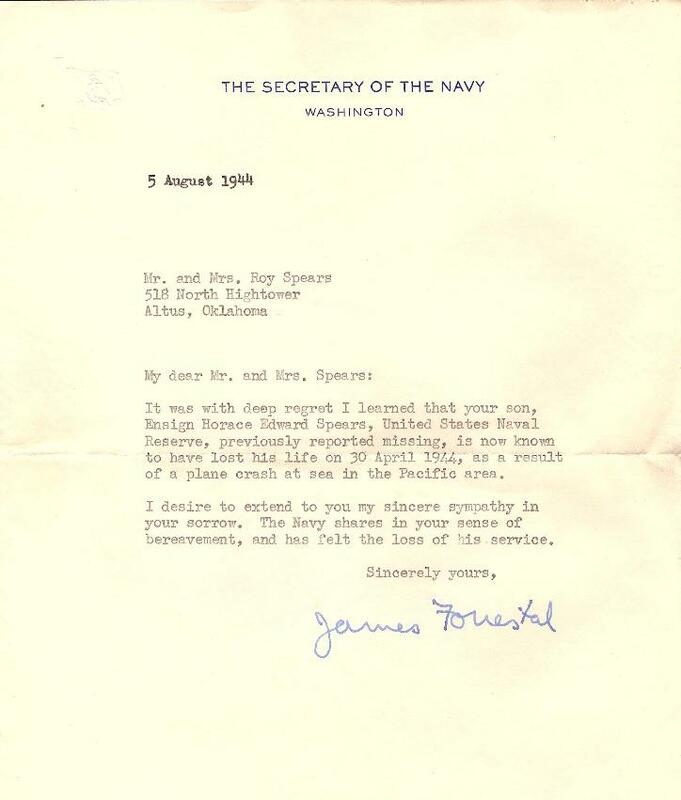 Frederick E. Bakutis, and a letter from the Secretary of the Navy during WWII, James Vincent Forrestal. 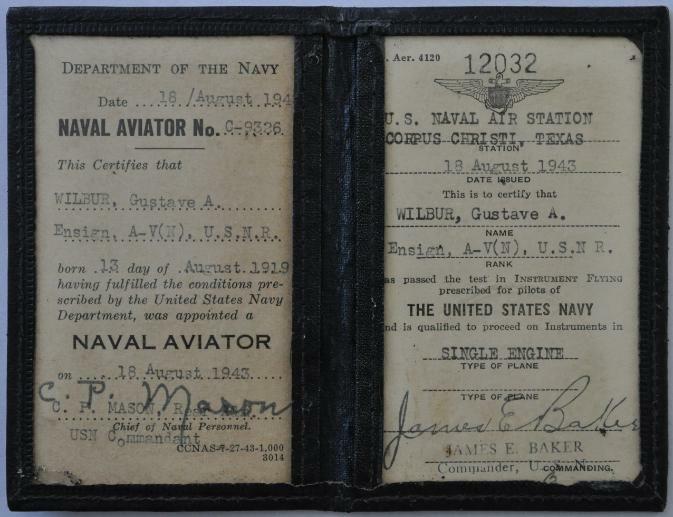 Among Wilbur's items are several wartime photographs, his Naval Aviator certificate, and several other items. least part of their story. 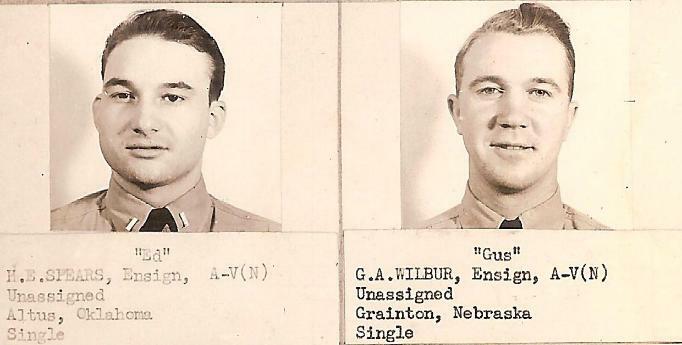 Like all of our servicemen who failed to return home from the war, Ensign Spears and Ensign Wilbur deserve recognition for their sacrifice. I hope in some way, this page provides a fraction of the recognition they deserve. 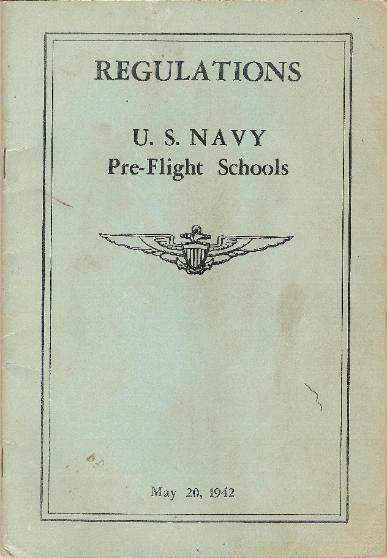 aircraft prior to his entrance into the United States Navy shows an interest in aviation at a relatively young age. 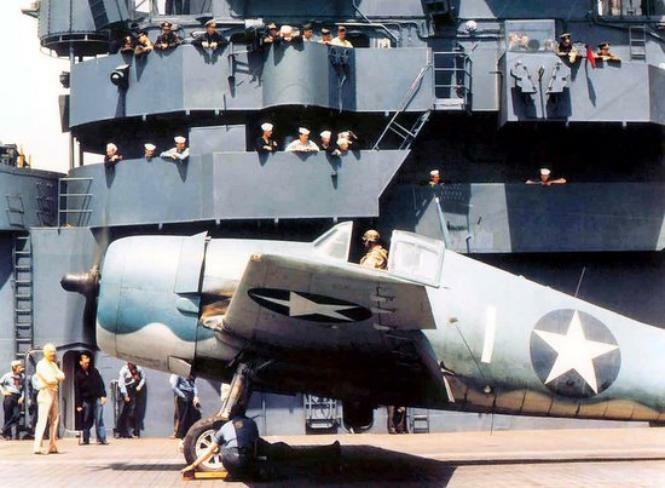 following its successful completion, was posted for active duty with fighter squadron VF-20 on November 12, 1943, aboard the USS Enterprise. return to the United States for 560 days. Ensign Spears would unfortunately never return. 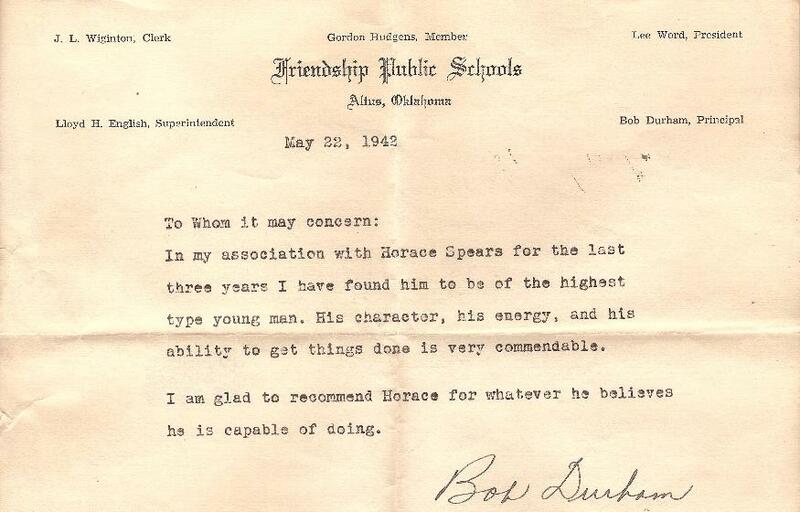 character and his drive as a young man. 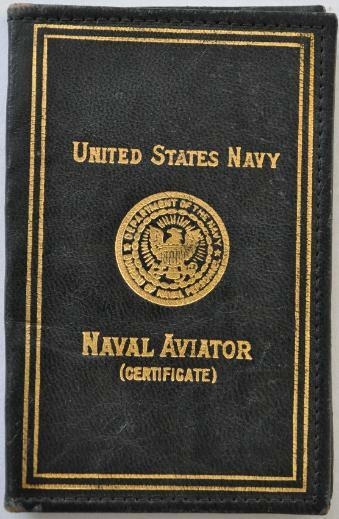 shows his Naval aviator number as: C-9065. 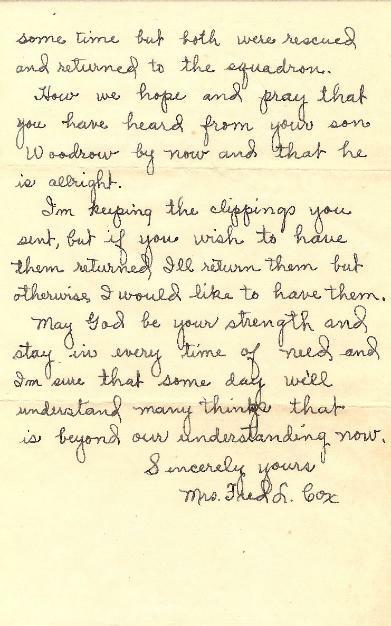 of this second letter, the Cox family still did not know the fate of their son. 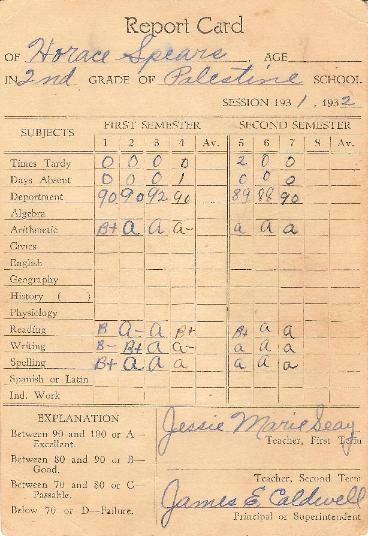 among his possessions this many years later. 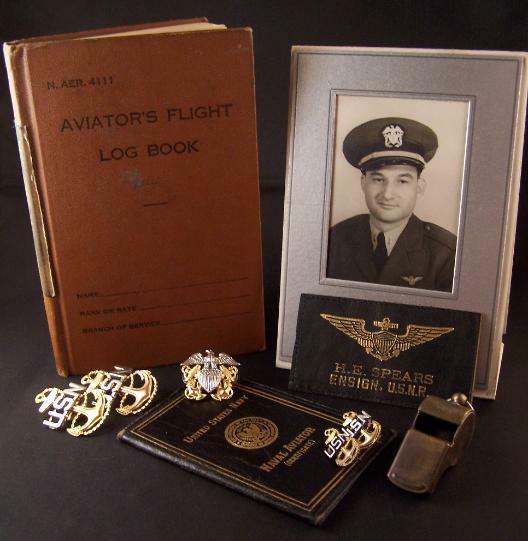 front of his flight log appropriately lists all of the issued flight clothing and accessories given to Spears throughout his training. 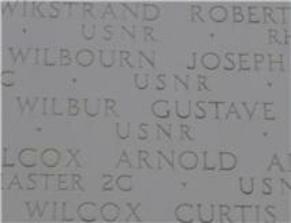 Some of the men who are listed as having provided flight instruction to Spears are shown with only their rank and last name. 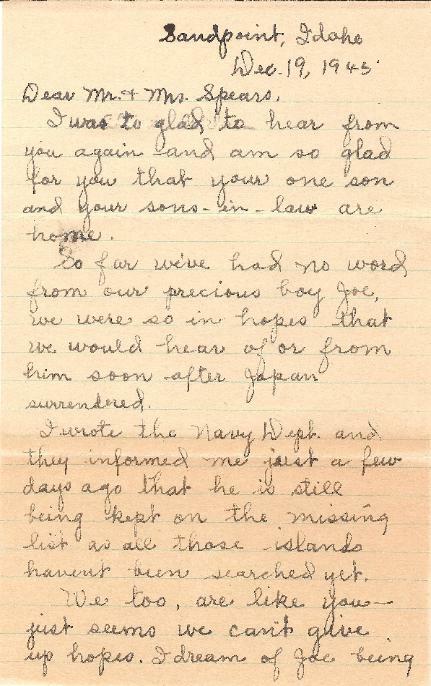 Some of these names include: Lt.
Storey, Ens. Leeper, Ens. Storey, Ens. Helbing, Ens. Mongot, Ens. Paxson, Ens. 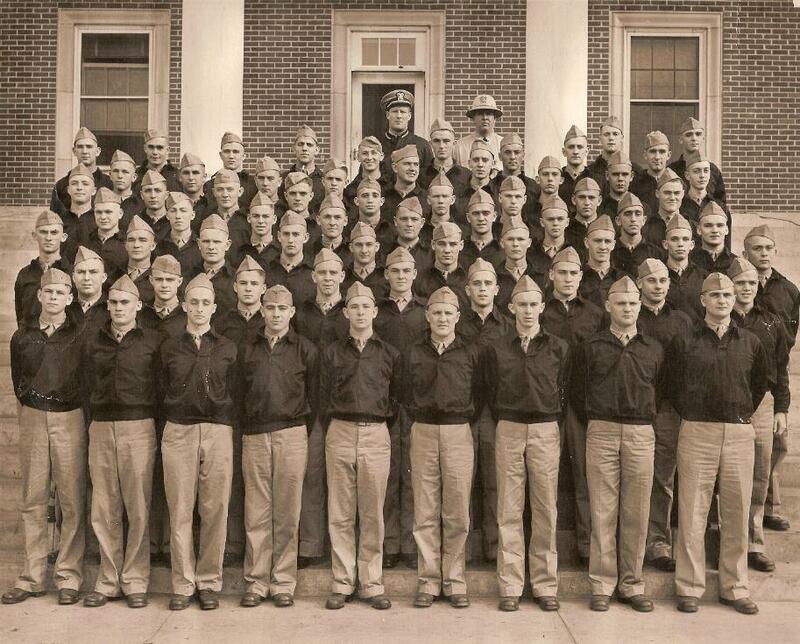 Landman, Lt. Holt, Ens. Sheldon, Ens. Blair, Ens. DeWitt, Ens. Climmitt, Ens. Linger, Lt.
Maxwell, Lt. Price, Lt. Fry, Lt. Mueller, Lt. Goetter, Lt. Terrill, Lt. Bryant, Ens. 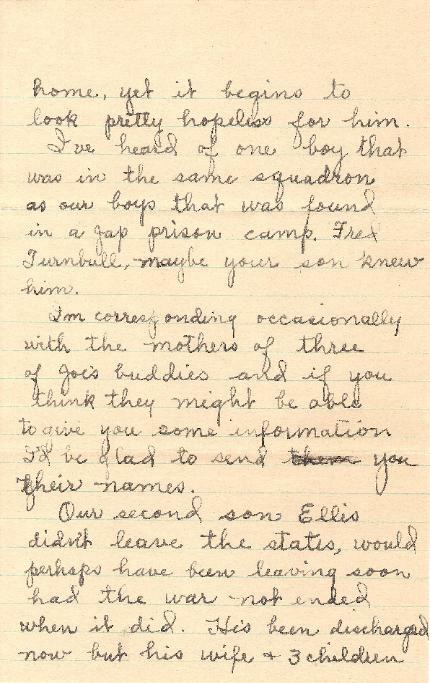 Sheppiels, Lt. Schaeffer, Ens. 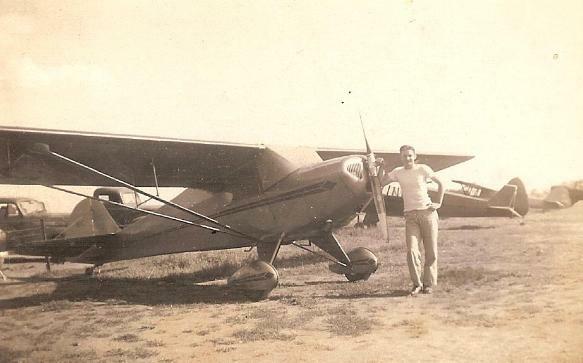 Shannon, Lt. MacInnes, Ens. 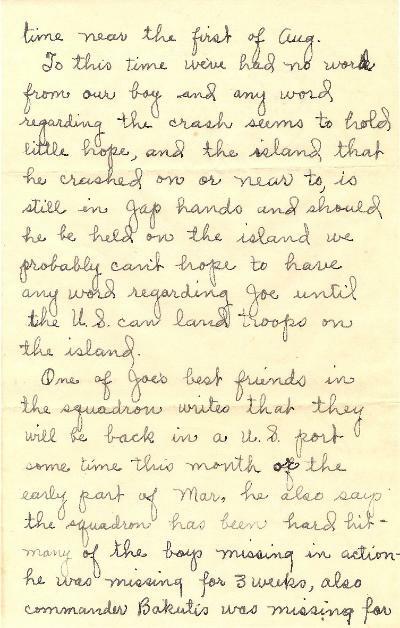 Porodnan, Lt. Petersen, Ens. Hendrickson, Ens. Norman, Ens. 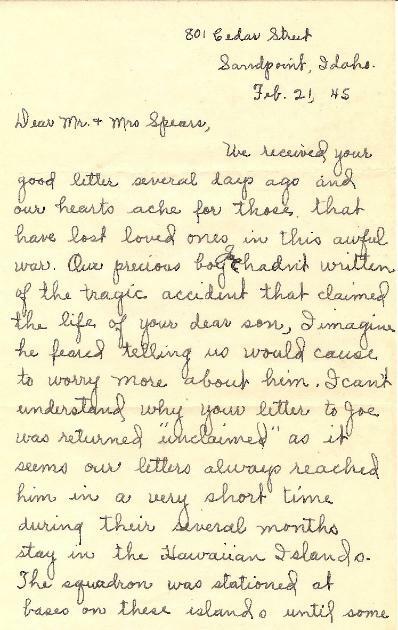 Thompson, Lt. Brown, Ens. Nordhansen, Ens. Schanbach, Ens. Winters, and Ens. Hawley. aircraft carrier. 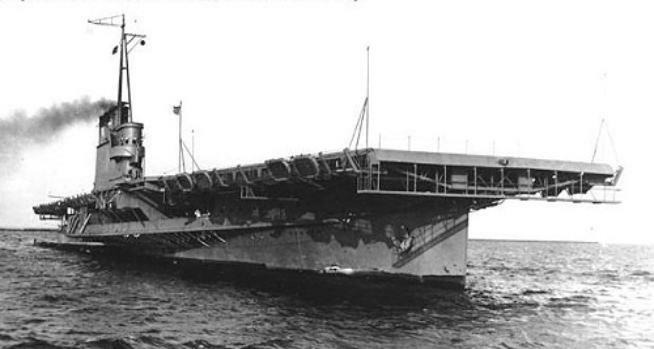 The USS Wolverine was used as a training ship to qualify Navy pilots in carrier landings. 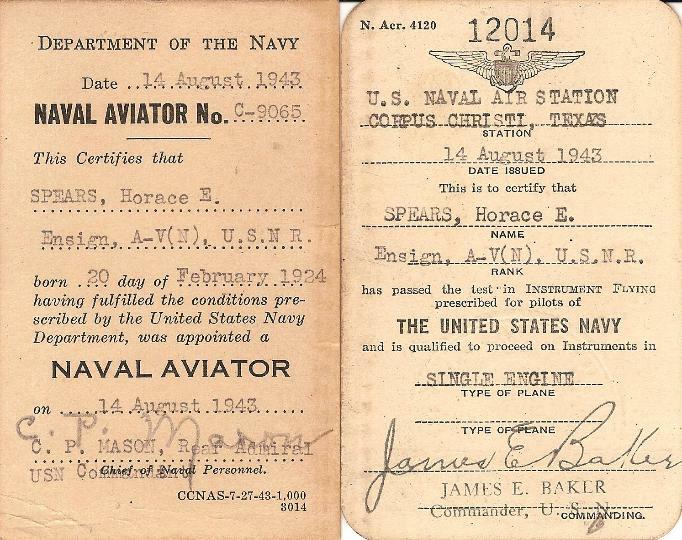 Spears' carrier qualification was signed off by Lt. R. W.
Officer of VF-20, Lieut.-Commander F.E. Bakutis, provides the Spears family with the details of the incident which claimed their sons life. are together. We shall miss him keenly as a flier and a friend. severe and both planes were badly broken up. 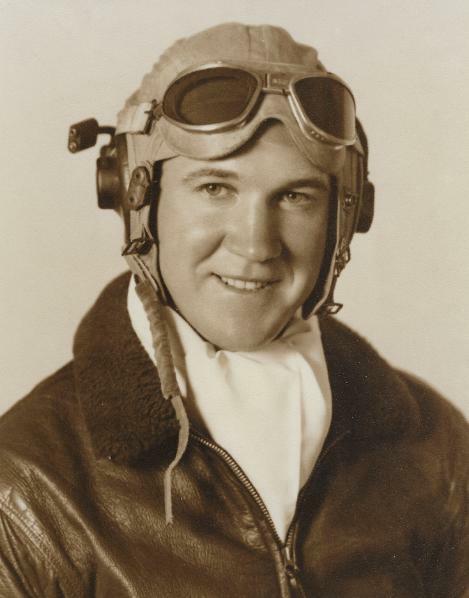 Ensign Wilbur misjudged each others path of flight until too late to avoid the crash. 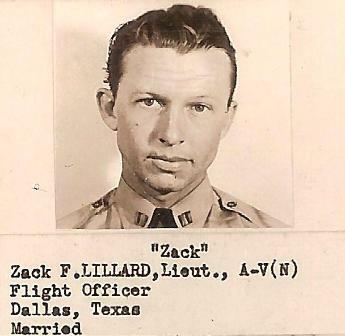 Surface craft and additional planes continued to search the area throughout the day for signs of the other pilot but failed to find any traces of him. We will send you Ed's personal effects as soon as possible. That was his wish. If anything further develops, we will let you know immediately. 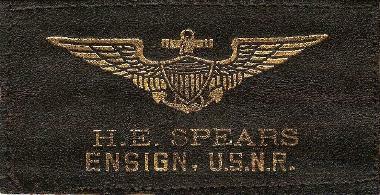 among all of Spears' items. 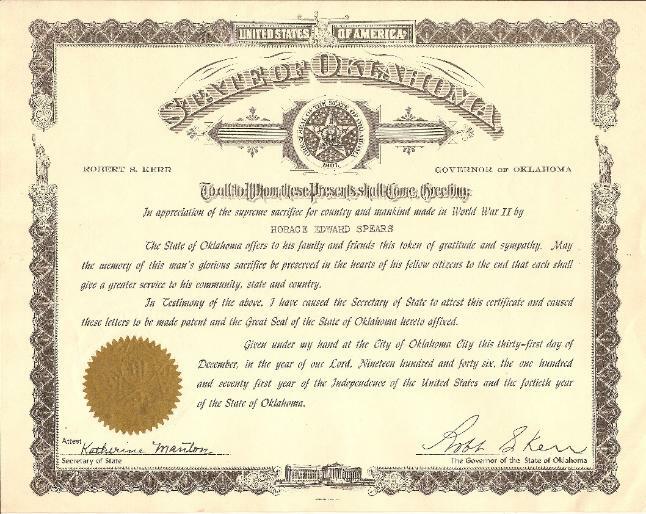 The paperwork provides a detailed view of Spears career as it progressed. with the arrival of each $53.90 check. Those payments would continue monthly for over 185 months. 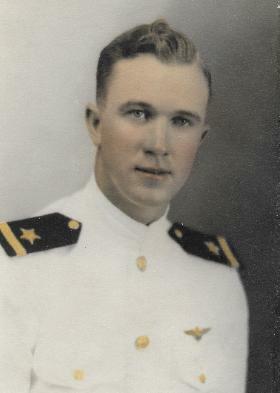 Ensign Cox. All four of these brave men would lose their lives during WWII. letterhead and is signed by James Forrestal. was flying an F6F-3 serial #42676, while Ens. 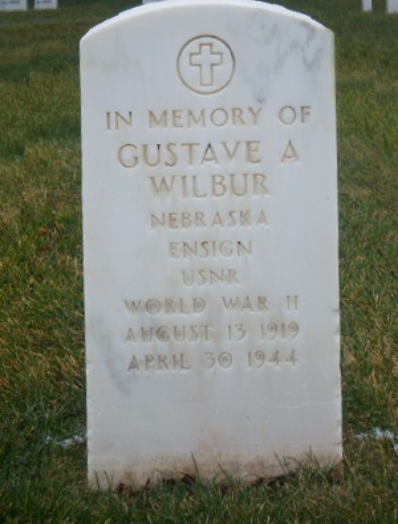 Wilbur was flying an F6F-3, serial #42421 at the time of the accident. as being approximately 65 miles from Barbers Point, Hawaii. 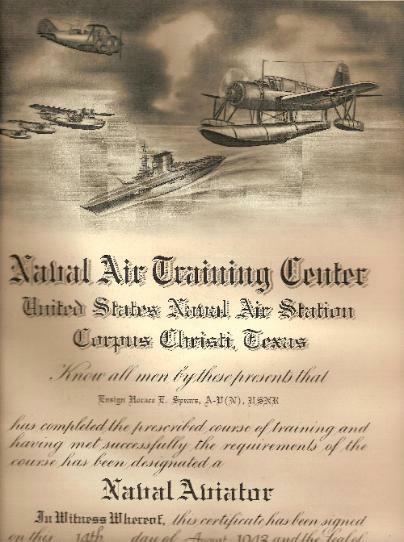 classmates together, having achieved their pilot ratings on the same day. would be lost to actual air combat. The same is true for all other branches of service, with non-combat aviation accidents claiming the lives of more men than actual combat. in the US Navy retiring with the rank of Lieutenant Commander, having served in both WWII and Korea. 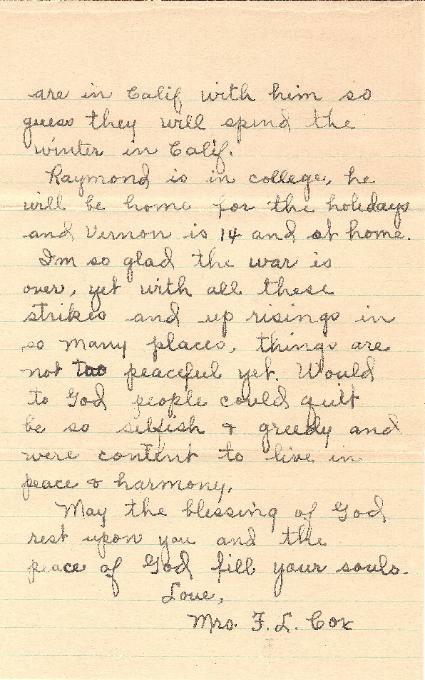 Harold is buried in Arlington National Cemetery. 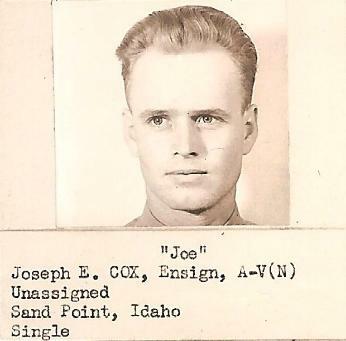 successful completion, both men were posted for active duty with fighter squadron VF-20 on November 12, 1943, aboard the USS Enterprise. 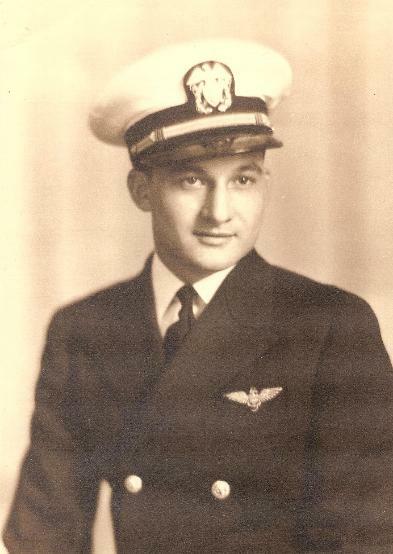 fellow aviator Horace Edward Spears met in a fatal mid-air collision during a tactical training flight approximately 65 miles off of Barber Point, Hawaii. 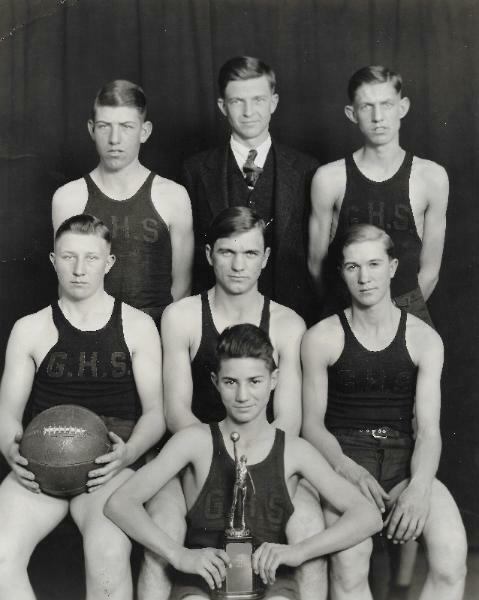 next to him in the center of the photograph. 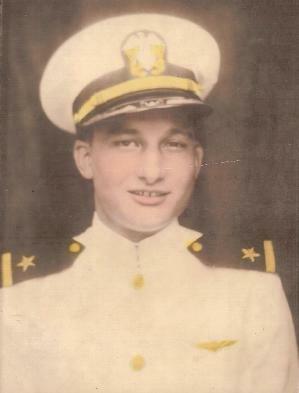 and his official Navy portrait photograph on the right. 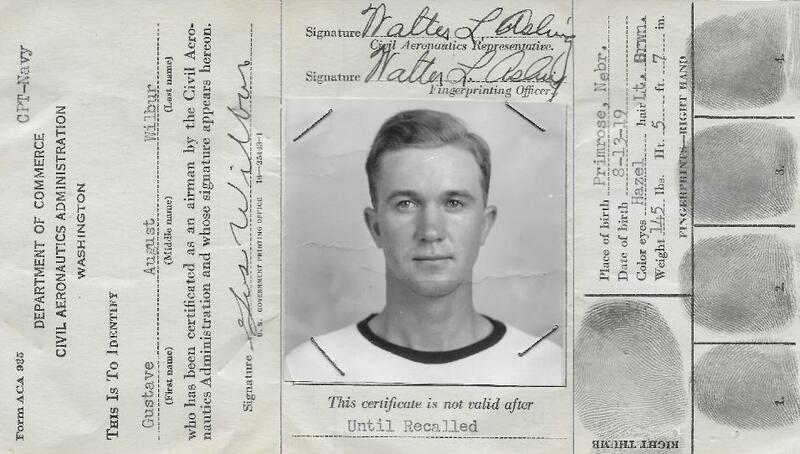 issuance of the certificate would also have occurred just three days after his 24th birthday. 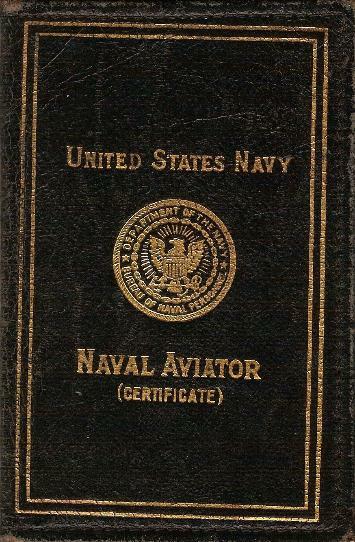 His Naval Aviator number is noted as C-9326. 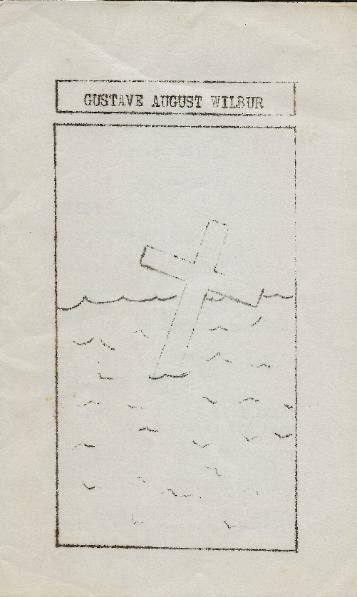 presumed deceased following the mid-air collision.